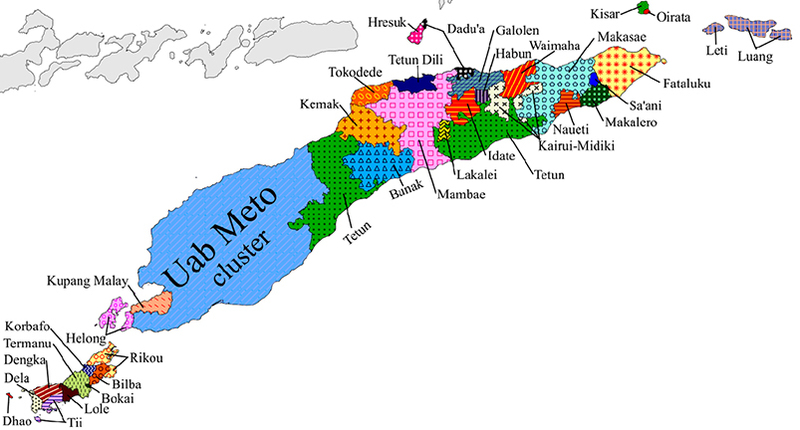 The location of languages of Timor, Map1 from the Oceanic Linguistics vol. 55 no. 1 article, “Parallel Sound Correspondences in Uab Meto” by Owen Edwards.